TANDAG CITY, Surigao del Sur, Oct. 16 (PIA) – Mayor Roxanne Pimentel, this city, has made an appeal to the general public for donations following the fire incident that broke out in Purok Kalipayan, Barangay Bongtud at almost 3:00 p.m. on October 14. Close to 300 houses, mostly made of light materials, had been burned down based on the initial report of the Bureau of Fire Protection (BFP). Fire victims had been housed at the city gym in the meantime. “Donations are accepted at the City Social Welfare and Development Office (CSWDO) and the City Disaster Risk Reduction Management Office (CDRRMO) which are both located at the Old Town Hall,” she added. The city government had indicated to release financial assistance, although it was not immediately known how much would be given to each household, George Salubre, city government information officer, confirmed. He was also one of the fire victims. Meanwhile, former mayor Alexander Pimentel, now city administrator, said lumad evacuees occupying Surigao del Sur Sports Center were the first to give their donations by sending 10 cartons/boxes of assorted imported canned goods. SURIGAO CITY, Surigao del Norte, Oct. 16 (PIA) – Von Joseph V. Serna, a fourth year high school student of Caraga Regional Science High School (CRSH) was proclaimed champion in the Surigao City Division Consumer Quiz Bowl on October 13, 2015 held at the Surigao City Negosyo Center Training Room, this city. The consumer quiz bowl is one of the series of activities during the Consumer Welfare Month celebration conducted by the Department of Trade and Industry (DTI) in coordination with the Department of Education (DepEd) - Surigao City Division. Carlwin Love L. Dagdag of Mat-I National High School ranked second while Angelica Magabili of Ipil National High School got the third place. Serna joined the contest together with 16 other high school students from the different public schools. He will represent the Surigao City Division at the Regional Consumer Quiz Bowl contest that will be held before the month ends. Most of the quiz bowl questions focused on this year’s theme, “Consumer Protection in the ASEAN Economic Community” and other vital topics on consumer welfare and protection related policies and mechanism. Ten questions for every three sets of questions from easy, average and difficult having varying equivalent points were posed to the contestants. The contestants were ranked according to the number of points earned based on their correct answers. TANDAG CITY, Surigao del Sur, Oct. 16 (PIA) – The Philippine Statistics Authority (PSA) is now halfway through in carrying out the lined-up activities for the 26th National Statistics Month celebration in Surigao del Sur this October. According to Ruel Dres, interim provincial statistics officer (IPSO), their office, in a joint undertaking particularly with the Department of Education (DepEd), PhilHealth, LGU Social Welfare Offices and other stakeholders, has already entered the third week of activities. With the theme “Pagyamanin at Gamitin ang Estadistika, Kalusugan para sa Lahat ay Abot-Kamay Na,” the PSA provincial chief said they had yet to complete the rest of the lined up events until the end of the month. TANDAG CITY, Surigao del Sur, Oct. 16 – Tandag Water District (TWD) has admitted experiencing adverse effects brought about by El Niño phenomenon. As one among the mitigation measures, she said “We are requesting LUWA (Local Utility Water Administration) funds to purchase 120 kVA (kilovolt-amperes) genset (generator set)” in order to supply water to their service area. Barangay Telaje was indicated to be one of the worst affected, Ty added. Meanwhile, TWD would be engaged in “drilling” operation for a new water source in Barangay Rosario this month, Ty bared. BUTUAN CITY, Oct. 16 (PIA) - The Overseas Workers Welfare Administration (OWWA), in support to the local government units’ growth and empowerment, took part in the Career Guidance Program for the tenth graders of Claver National High School, Claver, Surigao del Norte on October 14, 2015. Junrey S. Escobal, PESO Manager of LGU Claver, emphasized the need for professional guidance in the students’ career decisions to prevent job-skill mismatch in the future. “The students are also encouraged to select courses with hard to fill jobs over the easy fill ones,” said Escobal in an interview. The activity targeted to address to the 358 grade ten students of the national high school the realities of the labor market and how to prepare for it. Annette F. Lovete, OWWO IV of the Overseas Workers Welfare Administration, delivered the importance of personal inventory in choosing a career path. Identifying one’s skills, passion and preferences as well as the things they feel inferior with should greatly impact their career choices. The students were also encouraged to choose the priority courses available for better employment opportunities. The one day career guidance program was also participated by speakers from the Department of Labor and Employment (DOLE) labor employment officer Felybeth C. Bonono; Technical Education and Skills Development Authority (TESDA) Surigao del Norte provincial director Allan S. Millan; and Department of Trade and Industry (DTI) Surigao del Norte provincial director Celestino L. Negapatan. This was the clarification of Department of the Interior and Local Government (DILG) Caraga regional director Lilibeth A. Famacion in response to reports of remaining sentiments arising from confusion, ambiguity, misinformation or unfamiliarity regarding the Bottom-up Budgeting (BUB) program of the national government. The DILG is just one of several NGAs from which LGUs at the city and municipal levels are able to access funds for poverty reduction and social development projects through the Bottom-Up Budgeting (BuB) process. In this process, the Local Poverty Reduction Action Team (LPRAT) comprised equally of LGU officials and CSO representatives come up with their plans to combat poverty in their locality through the implementation of projects and activities accessed via appropriate national government agencies. 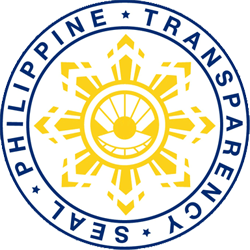 Other NGAs from which funding for the BUB projects are accessed include: Department of Budget and Management (DBM), Department of Agriculture (DA), Bureau of Fisheries and Aquatic Resources (BFAR), Department of Agrarian Reform (DAR), Department of Education (DepEd), Department of Energy (DOE), National Electrification Administration (NEA), Department of Labor and Employment (DOLE), Department of Social Welfare and Development (DSWD), Department of Health (DOH), Department of Environment and Natural Resources (DENR), Technical Education and Skills Development Authority (TESDA), Department of Trade and Industry (DTI), National Irrigation Administration (NIA), Department of Tourism (DOT); and starting 2016, the National Commission on Indigenous Peoples (NCIP). Projects involving farm-to-market roads and other agricultural projects, for instance, are coursed through the DA; when it comes to classrooms and education concerns, DepEd takes the lead; for anything medical, these are accessed through DOH; whereas electrification projects are lodged under the DOE or NEA; livelihood trainings and equipment for basic sectors, on the other hand, are processed either by TESDA, DOLE, DTI, DA or DSWD; etc. Projects involving potable water supply, disaster preparedness, local access roads and capacity development programs for CSOs are what DILG caters to. Thus far, the budget for these projects coursed through DILG nationally-speaking totals P1.6 Billion in 2013; P2.8 Billion in 2014 and P5.7 billion in 2015. As against the total BUB funding of all participating NGAs, these figures are merely 14.47%, 14.07% and 27.5%, respectively. For Caraga Region in particular, the DILG has provided access to P67.2 Million worth of projects to 45 of its LGUs in 2013, P120.4 Million to 65 LGUs in 2014 and P364 Million for all the 73 LGUs in 2015. At first, the BUB was prioritized for the poorest LGUs as identified by the National Anti-Poverty Commission (NAPC), but starting 2015, all cities and municipalities have access to the BUB, political affiliation notwithstanding. 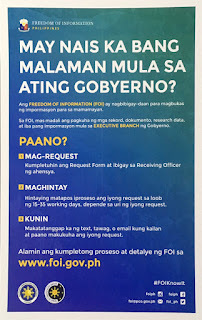 Even LGUs that fail the Seal of Good Financial Housekeeping (formerly Seal of Good Housekeeping) of the DILG or the Public Financial Management of the DBM can still access the BUB funds although project implementation is lodged to the provincial government or the NGA concerned. For the three years of implementing BUB in Caraga, the DILG has facilitated the implementation of 424 projects broken down into: 285 potable water projects, 24 local access roads, 101 disaster preparedness projects, nine CSO capacity development activities, and five other projects or projects that are not currently being offered by the existing menu of projects under the various BUB-participating NGAs (e.g. public cemetery, etc.). In terms of BUB project implementation, the DILG Caraga surpassed all other regions as pronounced in Memorandum dated October 2, 2015 signed by DILG-Office of Project Development Services director Rolyn Q. Zambales. As of September 30, 2015, the utilization rate of DILG Caraga BUB projects from 2013 to 2015 is 100 percent; the disbursement rate is 87.95%, completion rate is 65.72%; and the accomplishment rate is 40.09%. “At first we wanted to make sure we are implementing the projects the best way we can, but later on we realized that it is not enough that we do it on our levels, and hope that everybody will come to appreciate the project on their own. Along the way, we noticed that many still are not aware about the BuB. So we took steps to make the project known, at least here in Caraga Region,” added Famacion. In fact, Caraga was the first region to organize a showcase intended to raise awareness on BUB. The activity entitled: “Pagpadayag: Showcasing the Gains of BuB” was held last June 29-30, 2015 at Robinsons Place Butuan where partner agencies, LGUs, media and the general public were invited. The DILG also spearheads provincial dialogues between the LPRATs and NGAs to sit down to discuss about program implementation. Even the recently held simultaneous Barangay Assemblies last October 11, 2015 was an opportunity maximized by the DILG to inform barangay officials and constituents alike about the BUB. “On the onset, from the time we receive the General Appropriation Act (GAA) which contains the approved budget for the BUB, we see to it that such was made available to the LGUs, our provincial offices and the CSOs so people can be made aware of their share of this program,” she added. In addition, the DILG saw to it that cities and municipalities put up BuB Tarpaulin Billboards containing the list of projects, amounts, and status of completion so that anyone who wants to know more about the BUB project in their locality can access these information. Or one can visit the website openbub.gov.ph maintained by the DBM to view the list and quarterly status of projects. All these to ensure that the BUB implementation is as transparent as possible. In terms of accountability, several layers and mechanisms of monitoring have also been set in place to make sure the BUB is running smoothly and achieves targets and objectives. Joint Memorandum Circulars call on the members of LPRATs, i.e. CSOs, to monitor the projects being implemented. The DILG also established the partnership between Barangays and Inter-Faith groups through the Ugnayan ng Barangay at Simbahan (UBAS) project and the Citizens Monitoring System (CMS) to also monitor the BUB implementation. Likewise, NAPC commissioned third-party monitors to do the same such as People Power Volunteers for Reform (PPVR) for Caraga Region as well as other CSOs through their Citizen’s Led Monitoring Program (CMLP). In addition, the DILG Caraga enlisted the services of 13 community mobilizers and a regional coordinator for the BuB to increase people participation especially the most vulnerable. They are now coordinating at the grassroots level to thresh out needs of the communities in preparation for the upcoming CSO Assemblies and LPRAT Planning and Budgeting workshop where they come up with their Local Poverty Reduction Action Plans (LPRAP) for CY 2017. The CSO assemblies across the region are slated to occur on October this year.